Ray: J'étais très heureux avec la mouche émeraude green, Martine! 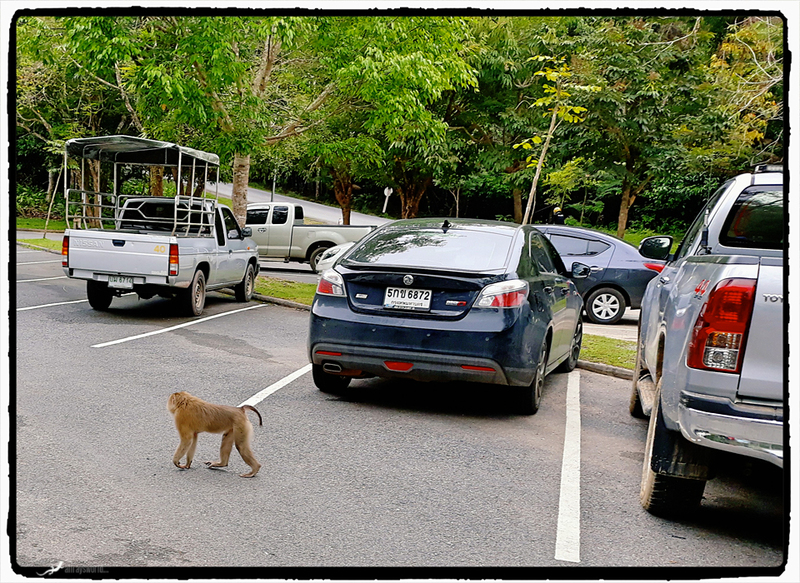 Ray: 10 seconds after I made this shot, the Macaque was in the back of the pick-up and stealing stuff, Peter...these guys are quick! You did well with what you had, Ray! Why do you think it was? Ray: I mean't to say "...underwhelming for the kids..." to set myself up for tomorrow's post, Elizabeth...for me, these encounters were perfectly adequate. Oh, I like the turtle! 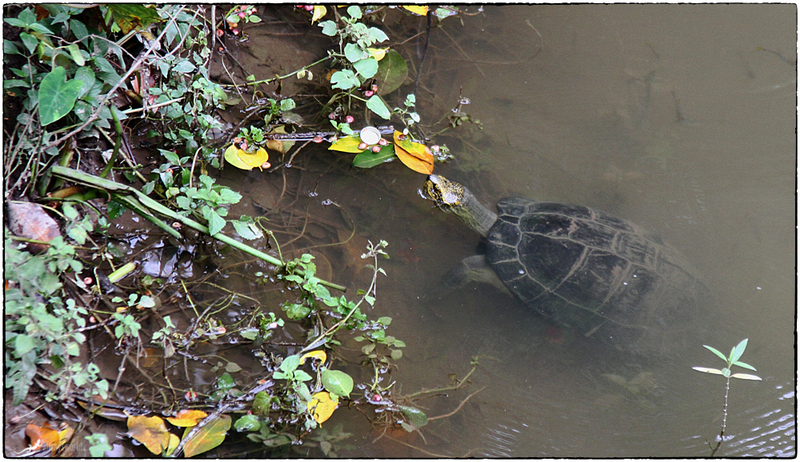 Ray: Turtles are very plentiful in Thailand, Philine...we have even found them wandering through our house-yard. Ray: Les tortues sont très courantes en Thaïlande, Claudine, et nous les avons même vus errer dans notre maison. All very amusing. I bet monkey'd have your sandwiches in the bat of an eyelid..
Ray: Macaques are experts at thievery, Chris...they have even been known to steal sunglasses off a person's head and only return them for a food prize. Ray: You are quite correct about this, Lisl...I read an article this morning about a female wolf that wandered hundreds of kilometres through Germany and settled in Holland...the first wolf there in the last 100 years. Ray: The Macaques will steal anything they can use, Alan. Ray: These critters are interesting to me, Chad, but the kids were not impressed...I think they were hoping to see someone devoured by a tiger. Ray: In truth, Bill, I prefer that Elephants remain out of sight, as they have more safety that way. Perhaps that's the safest, Ray You wouldn't want to meet an angry bull elephant, would you? Ray: Angry bull elephants have been know to up-end a car, Tom. Only the wasp that lives in the wooden hole is missing. Ray: I think this hole was unoccupied, Mary.